According to a study review published by the American Psychological Association, patients with mental disorders are more likely to refuse or discontinue their treatment if it doesn’t involve psychiatric therapy and involves only psychotropic medications. Lead researcher Joshua Swift, Ph.D., of Idaho State University, said that they have found that rates of refusal of pharmacotherapy were two times higher than for psychotherapy alone for panic, depressive, or anxiety disorders. He also added that the rates for termination of pharmacotherapy were higher than psychotherapy for depressive disorders. The analysis included data from more than 180 studies of patients who looked for treatment of their mental health issues. Researchers examined the data, regardless if patients accepted the treatment or, if they accepted it, if they completed it. Refusal of treatment recommendations was observed in 6,693 patients over more than 50 studies. 182 studies showed that almost 18,000 patients reported termination of the treatment. Patients in the studies were recommended to undergo psychotherapy, drug-only therapy, or a combination of those therapies. This research can be found in the APA journal Psychotherapy. The average rate of refusal was 8.2%. Patients who were offered psychotherapy alone were 1.7 times more likely to continue their treatment compared to patients who were offered pharmacotherapy without psychotherapy. The average rate of discontinuing the treatment was 21.9%. No significant difference was noticed between the rates of refusal or discontinuing the therapy between psychotherapy and combination treatment, or between drug therapy and mixed therapy. After a treatment was recommended, the average rate of dropout was 1.2 times lower for patients with psychotherapy, compared to patients with drug therapy. Researchers were surprised by the difference in rates for different mental disorders. Patients with depressive disorders were more than twice as likely to refuse drug therapy. Patients with panic disorder were three times more likely to refuse than those undergoing drug therapy alone. 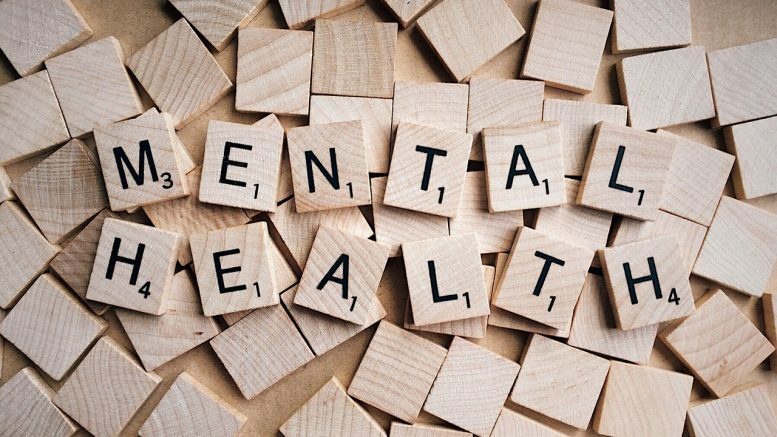 Roger Greenberg, Ph.D., of SUNY Upstate Medical University, stated that those findings were especially interesting since current trends show that more patients with mental health issues are involved in pharmacotherapy alone, rather than psychotherapy or combination therapy. Some health care experts said that psychotherapy should be the first treatment for people with mental health issues. Greenberg said that those experts’ arguments were based on a lower rate of side effects and good outcomes of psychotherapy. He pointed out that researchers findings supported that argument, and showed that more patients would like to start psychotherapy rather than drug therapy. Furthermore, patients who offered psychotherapy were more likely to complete their treatment. Both Greenberg and Swift think patients with mental health disorders or people who experienced them in the past may prefer psychotherapy over pharmacotherapy, because they recognize that the source of the issue is not entirely biological. Swift noted that researchers now have rates of refusal or dropout from mental disorder treatment, but the reason for refusal or dropout is still unknown. He added that new research designed to determine those reasons could lead to new therapy approaches to improve completion and initiation rates for pharmacotherapy as well as psychotherapy. However, those patients who took part in the research studies were willing to be assigned to any of the therapies initially, so they could not represent all consumers of mental disorder treatment. According to Greenberg, patients with mental health disorders often desire an opportunity to discuss their issues with someone who may be able to help them face their emotional experience better. He also added that medications for mental disorders may help a lot of people and seemed to be an easy and quick way to fix the issues; however, he thought that other people thought their issues were more complex and worried that psychotropic medications would only be a temporary solution for difficulties they faced in their everyday life. The study results can be used not only for treatment of patients who have mental disorders, but also for other patients who have to choose one of the therapies or a combination. With the opioid addiction epidemic in the U.S., people with chronic pain have to take strong painkillers, which are commonly very addictive. Many healthcare professionals think that patients with chronic pain receive more painkillers than they should. The category of people with chronic pain and a high rate of addiction are those patients with post-traumatic stress disorder (PTSD). Study of chronic pain treatment in patients with PTSD showed that patients show better results when both therapies were used. The study results can help healthcare professionals decrease the level of medications used for treatment as well as increase the rate of medical adherence and completion. Furthermore, using a combined approach or psychotherapy alone can increase trust between patients and their doctors. Generic Drugs: Are They The Best Choice? Be the first to comment on "Patients Prefer Psychotherapy Over Drug Therapy For Mental Health"